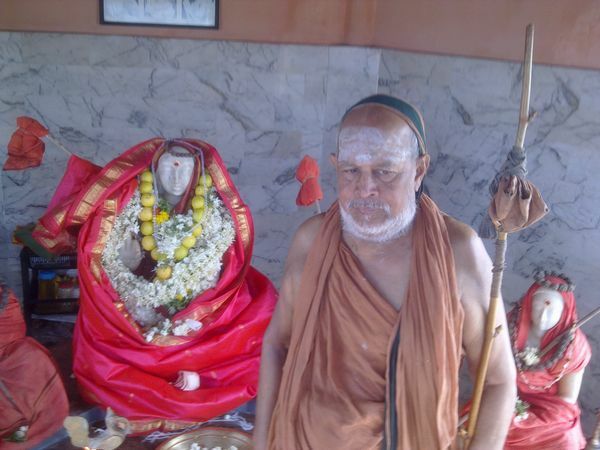 Sri Adi Sankaracharya travelled all over Bharat and established the principles of Advaita among scholars and common men. Temples and shrines of Sri Adi Sankaracharya are present throughout our country and are a testimony to His efforts towards National Integration. 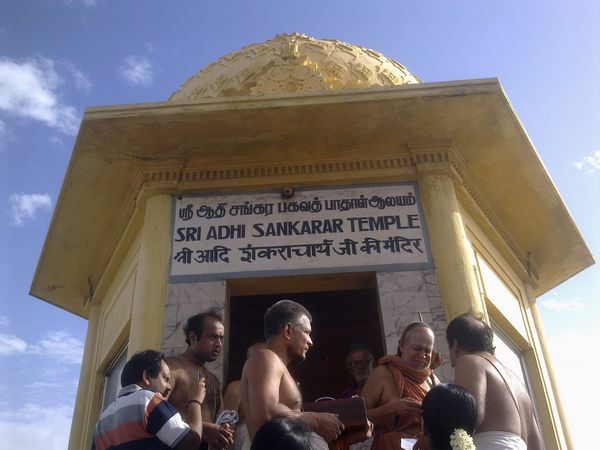 At Kanyakumari in Tamilnadu, Sri Sankaracharya mandir is located right on the sea-shore. Below are photos taken during His Holiness Pujyasri Jayendra Saraswathi Shankaracarya Swamiji's recent visit to Kanyakumari.